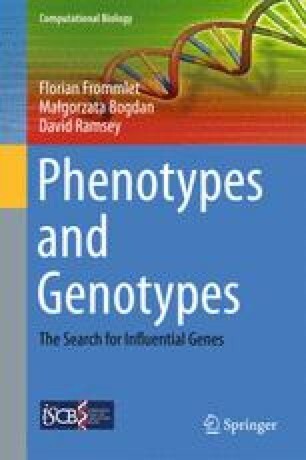 This chapter presents some classical and modern techniques for localizing genes in experimental populations. The main advantages of experimental populations are that geneticists can control the structure of a population and there exist very precise mathematical models describing the structure of correlations between genotypes at different locations. This enables the application of advanced and precise mathematical tools to derive appropriate procedures for multiple testing and develop sophisticated methods, like interval mapping, which lead to localizing qualitative trait loci with greater accuracy. As well as considering approaches based on classical multiple testing, we show how to apply the techniques for model selection developed in Chap. 3 to the analysis of QTL data and provide an overview of some even more advanced approaches, such as logic regression.